Get things done in these shared workspaces. (SPOT.ph) Working at home may be practical, but let’s admit it: Sometimes, it can be counter-productive, no thanks to the many possible distractions that can easily derail you from deadlines (hello there, comfy bed!). Coffee shops, while a good option, can get quite crowded and noisy. 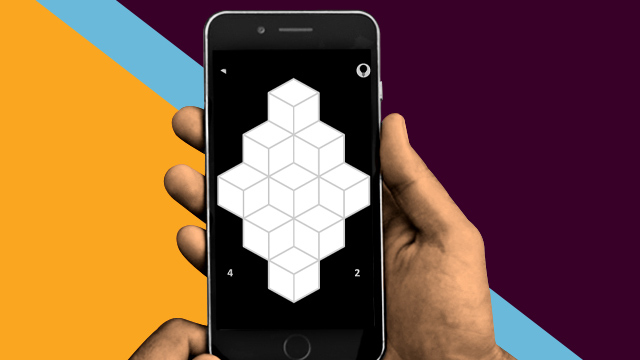 Your best bet? Shared offices, or what’s popularly known now as coworking spaces. There’s a growing number of coworking spaces in Metro Manila, and they’re proving to be a big help to freelancers, students, and start-up entrepreneurs given the flexible rates and various services they offer. Below, we round up 10 coworking spaces worth checking out. 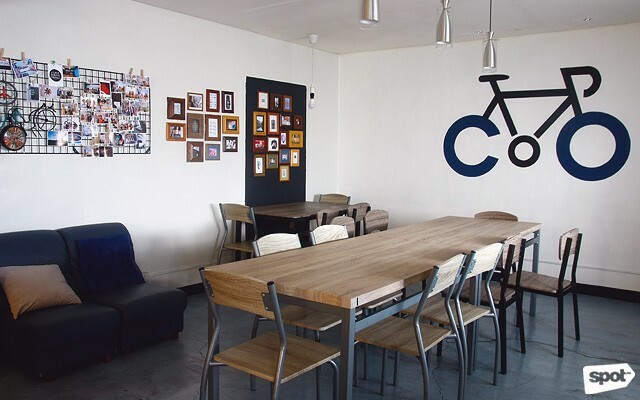 There’s a social network, and then there’s “live social network.” That’s the aim of Cofficina Café + Cowork, the first coworking space in Marikina City. Owner Bianca Tolentino says, "What we want is a community where everyone knows and helps each other. We don't want to be a place where you come in, work, then just say bye when you're done.” So don’t be surprised to see Tolentino going around interacting with members of Cofficina—that’s precisely the environment she wants this shared workspace to be: Open, friendly, and collaborative. The homey interiors set the perfect backdrop for such an inviting ambiance. And if you’re too busy to step out to grab some lunch or snacks, Cofficina serves filling meals like Joey's Spaghetti (P145), an aglio olio pasta with dilis; and Salted Egg Chicken Wings (P145/three pieces; P250/six pieces; P370/nine pieces). The coffee bar is also a plus for those who need their daily caffeine fix. Rates: Hourly pass is at P80, while a day pass is at P350 and is good for 10 hours. Student rate starts at P60 per hour or P250 per day. All passes are inclusive of WiFi connectivity and unlimited coffee and tea. Meeting room rental is at P1,200 for two hours. The event space can be rented for P5,000 per five hours. Printing services and laptop rental are also available. 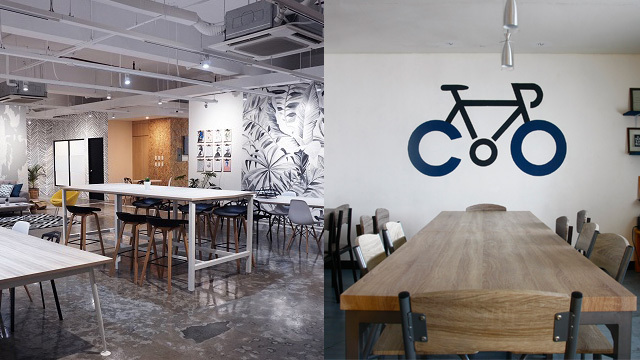 Open daily from 8 a.m. to 12 a.m.
How about a coworking space that also serves milk tea? 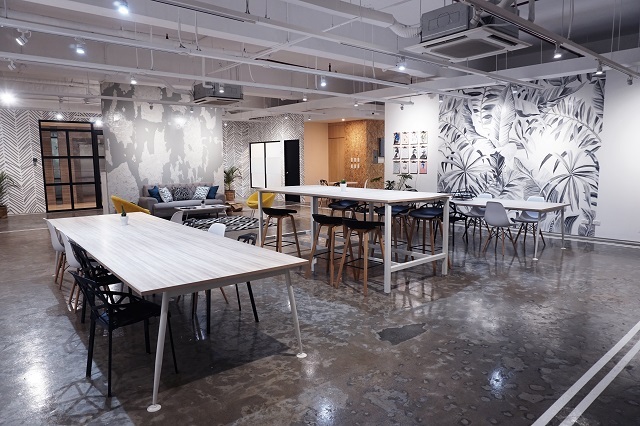 107 Co-working, which opened last September 28, is by milk-tea chain Macao Imperial Tea. The minimalist interiors provide a conducive space for students and professionals alike. Internet access, scanning and printing services, use of telephone, plus a cup of brewed coffee are among the perks you get when you become a member. Aside from those basic amenities, 107 Co-working also offers 10% discount on all Macau Imperial Tea drinks for those who avail of daily membership. On the other hand, monthly members are entitled to P500 worth of consumable drinks. Isn’t that an awesome treat after all the hard work you put in? Rates: Daily membership is at P250, while monthly membership is at P3,500. Yearly rate is at P35,000. The event space, which can fit 30 people, is available for P10,000 for the first five hours, with an additional P1,500 for every succeeding hour. Agor’s takes pride in its '70s-inspired, industrial space. It’s more like your tita’s updated home, as it’s actually a residence converted into a coworking space complete with capiz details and a small walkway leading to the main door. Garbed in wood and hunter green walls, this coworking space has ample work areas that also allow for interaction—something Agor’s encourages. It champions “meaningful connections through community immersion and collaboration,” and what better way to achieve that than in a homey venue like this. Agor’s even has a co-working manifesto! All price plans include free-flowing coffee or tea and high-speed Internet. Non-registered guests are allowed to share your desk (and even grab free coffee) for an hour; beyond that, a day pass is required. Rates: Individual passes start at P250 on weekends and P300 on weekdays. Group passes start at P3,500 monthly for three to four people. Weekend passes for a group of three are at P600 and is valid for a day. A group of five to six people may avail of the Team Pass, which is at P5,500 a month. The meeting room can be rented for P3,000 a day or P500 per hour, and can fit up to six people. A bigger room for up to 10 people is at P5,000 a day or P1,200 per hour. Agor’s can also be a venue for workshops and talks, with rates of P8,000 for the first four hours plus P1,000 for succeeding hours. Freelancers and startups in the southern part of Metro Manila will find Launchpad Coworking an ideal place for doing business. Located in the central business district of Alabang, Launchpad opened on April 2016. Within its 180-square meter floor area are five private office spaces, a meeting room, a kitchen, a reception area, and an open coworking space. Launchpad has the basics covered: High-speed connectivity, free coffee and tea, use of pantry, and scanning and printing services. But aside from those inclusions, it also offers locker rentals, a member privilege card, 24-hour building security, free basement parking for five hours, and administrative, legal, and accounting assistance—helpful perks for those who are launching their business. This coworking place is also available as a virtual office, which allows new business owners to use its address for business registration purposes. Rates: Hourly pass starts at P200 and is valid for three hours. A whole-day pass is at P500 while a monthly pass is at P4,000. If you want a permanent workspace, fixed desks start at P22,500 monthly for four people, while private office rooms are at P40,000 a month for four team members. Office rooms are also available under the Launchpad Coworking Plus service: A room for two people starts at P20,000 a month for six months. Meanwhile, the meeting room and event space are available for rent at P4,000 and P6,000 for eight hours, respectively (ingress and egress fees, as well as sound system and projector, are charged separately for the event space). Open from 8 a.m. to 8 p.m. (Monday to Friday). The event space is open 24/7. Warehouse Eight’s no-frills interiors provide a blank canvas for collaboration and new ideas. There are wide open spaces for big workshops and even art exhibits. The areas for more private functions are equally spacious. If you want a more intimate setting where you can hold meetings over coffee or lunch, Warehouse Eight’s pantry/bar is available for rent. 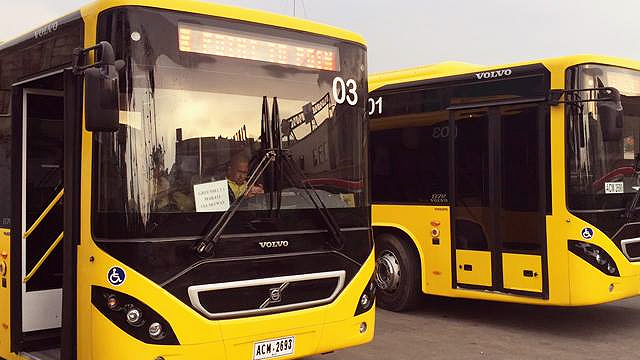 Rates: Rates start at P300 per seat for six hours or less, or P500 for a full day. There’s a 20-workday package for P8,500 consumable for three months, while a 20-consecutive workday package is at P6,500. Rent of event space for up to 50 people start at P20,000 for eight hours on weekends, with additional one hour each for ingress and egress. Use of pantry and reception area, as well as projector and screens, is included in the event space rental. Weekday event rates start at P16,000 for eight hours. The pantry/bar area is available for P1,500 per hour and can accommodate up to 20 people. Conveniently located in Tomas Morato, Quezon City, Bull•ish features Scandinavian-inspired interiors that do away with visual distractions—perfect for when you want to concentrate on your deadlines in a bright and airy environment. Bull•ish encourages its guests to be go-getters, and this open workspace provides the venue to do just that. There are function rooms for meetings and intimate events, and certain work plans allow for free use of these areas. Use of scanner and printer, as well as Fibr connection, are available to all guests. There’s also free-flowing brewed coffee for your daily dose of caffeine. Guests who subscribe to monthly work plans are entitled to locker privileges, and may also use Bull•ish’s office address for business correspondences. Concierge services are also available. Rates: Daily rate is at P350, while monthly individual rate is at P5,000. For a team of three members, the workspace is available for P10,000 monthly. The meeting room, which can accommodate eight persons, is available for P2,000 per day and comes with complimentary coffee and water plus use of TV, projector, and whiteboard. The event space, which can fit 30 people, is at P6,000 for eight hours. This coworking venue is serious about promoting a collaborative community, and its intimate setting serves as the perfect backdrop for sharing ideas and initiatives. While the space overlooks the busy Meralco Avenue, it still manages to be cozy and inviting, thanks to communal wooden tables paired with the design-forward seating pieces of A. Garcia. BoardRoom also offers legal and management consulting for those looking to jumpstart their entrepreneurial endeavors. It’s all about creative collaboration in this coworking space located at Robins Design Center, a design hub in Pasig City. BoardRoom takes pride in its community of forward-thinking businesses like Akaba, a local brand of handwoven lifestyle products. BoardRoom has also partnered with a number of local brands that push for specific initiatives, among them The Green House Projects, which promotes healthy indoor living through indoor gardening; GKonomics, a platform for social entrepreneurs; and A. Garcia Crafts, a Pampanga-based contemporary furniture brand that has won local and international awards. Rates: For individuals, hourly rates are at P70, while monthly rates are at P7,500. A team of up to five members can hold their office here for P7,500, which is good for 20 days. Meeting rooms start at P800 per hour on weekdays. All packages are inclusive of Internet connection, unlimited coffee, local phone calls, and limited printing and copying services. Rates are subject to 12% VAT. QUAD looks like a pretty cafeteria dressed in a smattering of pastel hues. There’s a quote about productivity and coffee done in hand-lettering against a black wall, while a handful of motivational wall art peppers the coffee bar. QUAD caters mostly to students who need a place to crash during exams week or group study sessions—and it’s perfectly located near Quezon City universities. Board reviewers are even treated to special promos occasionally. Those looking to burn the midnight oil will find this place convenient, as it offers locker rentals and a shower service so you can go straight to class after pulling an all-nighter. Rates: Rates are at P60 per hour, P400 per day, and P6,000 a month. WiFi connectivity and unlimited water and coffee are included. The meeting room is at P500 per hour and can sit six people. Printing services start at P5 per page, while locker rentals are at P50 per day. Shower service is at P120. Located in the Pasig Central Business District, Loft gives coworking a different spin. Imagine a typical corporate office space, with glass doors and wall-to-wall carpet, but update that with chic furniture pieces and a dynamic vibe. Loft is within the vibrant community of Ortigas, with commercial establishments just a stone’s throw away. Monthly members enjoy discounted rates and access to premium amenities. The fully equipped conference rooms, which are named after places in Game of Thrones, offers a breathtaking panoramic view of the city skyline. Additional services, like accounting and legal help, are also available for startups. And if you’re looking to power through your busy day with a cup of joe, Loft houses Ellipsis Coffee, which serves creamy ube latte! How’s that for a coworking space? Rates: Day rate is at P550 for a 10-hour access. If you’re looking to work overnight, you can rent a desk at P450 for use from 8 p.m. to 7 a.m. Monthly rate is at P10,000, while hourly rate is at P130 (P85 per hour for students). Basic amenities are included, like WiFi connection, pantry and kitchen use, unlimited coffee, front desk assistance, and photocopying and printing services. Conference room rental starts at P1,200 per hour. Open from 9 a.m. to 9 p.m. (Monday to Friday) for Open Desk and Dedicated Desk plans clients; 24/7 for Private Office plans clients. Also open on Saturdays and Sundays for events. Work Folk provides more than just a space to “get things done.” With its interiors straight out of Frankie magazine—think chevron patterns, geometric accents, clipboards as wall art, and foliage-printed walls—this coworking hub is an inspiration board come alive. Everything else is sleek and neutral, so you don’t have to worry about visual clutter. It offers flexible terms, making it a friendly option for freelancers and small business owners. Aside from high-speed Internet connection and drink-all-you-can coffee, tea, and water, lockers and meeting rooms are also available. Rates: An Open Desk plan, which is at a first-come, first-served basis, start at P250 for the first three hours. Daily rate is at P600, while monthly rate is at P8,400 (with 30% discount for students). You may opt for a Dedicated Desk plan at P3,750 a week or P12,500 a month. Meeting rooms are available at P1,300 per hour. Rates are subject to government tax.